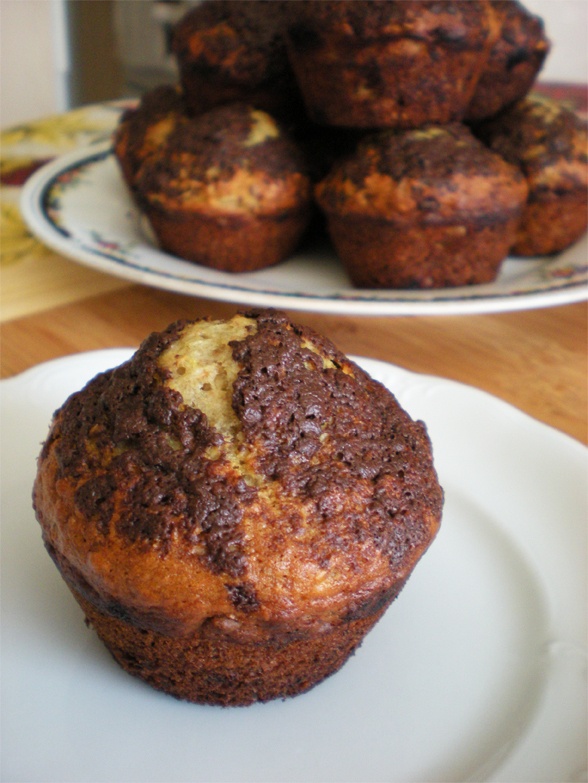 I made chocolate banana muffins today using this banana bread recipe. I have made them with chocolate before, but this time I added a spoonful of grated chocolate on top before baking them, instead of putting chocolate chunks in the batter. I think I like them better this way. Enjoy. I haven’t made muffins in a long time. Banana and chocolate sound wonderful together!!! I need to try that, as I make my banana bread and muffins the same way a lot! Incredible looking blog. Wow. Glad I found you! Mmm I love banana bread and these muffins look so cute and scrumptious!